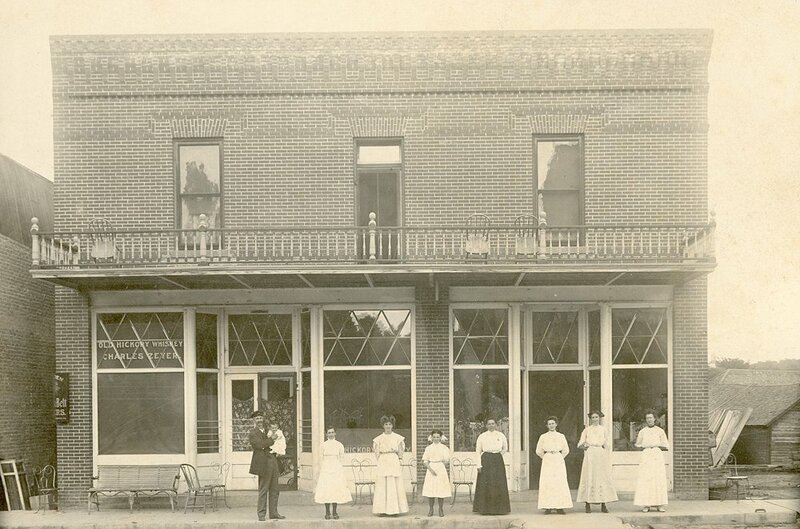 Watertown has a long and colorful history that is typical of the central Minnesotan villages and towns that sprang up in the mid to late 1850’s. Taking a walk through Watertown today in the twenty-first century is an interesting experience. On one street, one may find buildings that have stood the test of time for upwards of one hundred years and on the next block over find a brand new building. One of the main attractions in the now-city is Lewis Avenue. If you were to ask a Watertown citizen what the significance of Lewis Avenue is, you would likely hear ”Well, Isaac Lewis was the father of our town!” While Lewis did invest in Watertown with his father Caleb, he was not the sole reason for the town’s existence. The town’s origins stretch back to 1851 with the creation of two treaties: the Treaty of Traverse des Sioux and the Treaty of Mendota. Through these treaties, American Indian bands of the Dakota tribe ceded much of their land in the central and western parts of the Minnesota Territory. 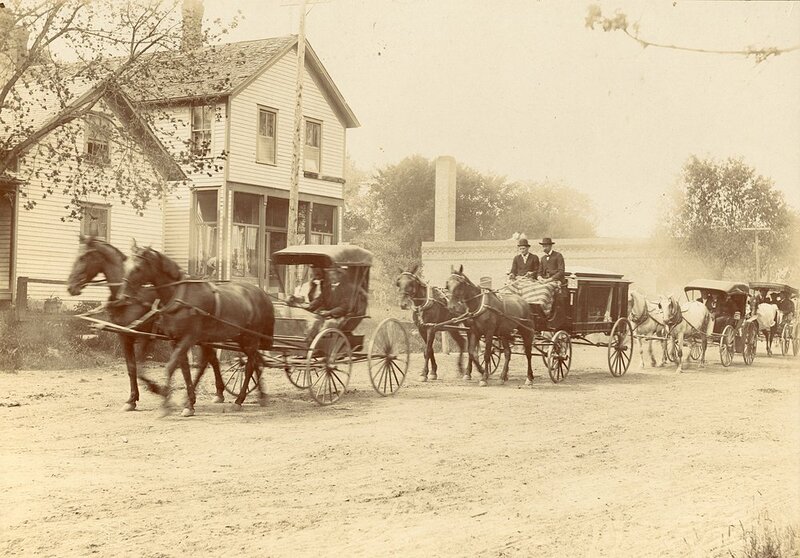 Five years later in 1856, two men named Alexander Moore and David Bickford arrived in the area that is known today as Watertown. Moore and Bickford were searching for suitable places to create towns. The two men followed the Crow River up to an area where there were many rapids within the river. 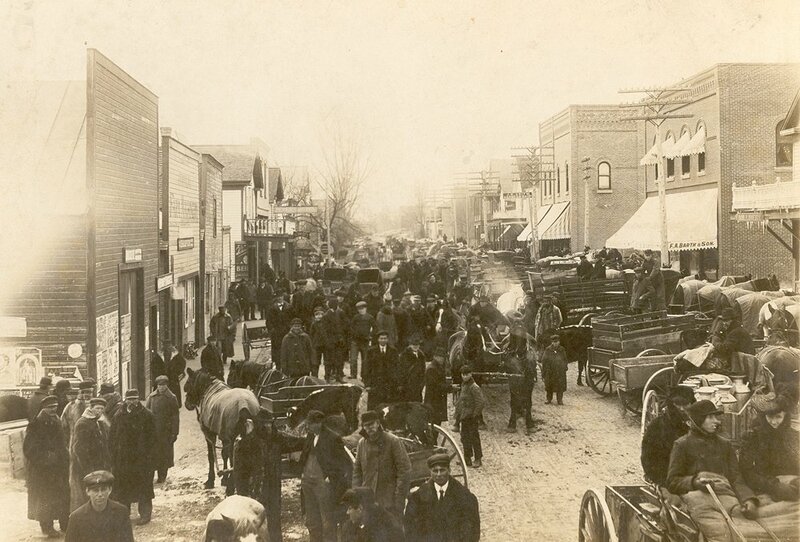 Due to the rapids they found, the proto-town was given its first name: Rapid City. Isaac Lewis was a friend and partner of David Bickford, which is how he learned of Rapid City. He decided to take it upon himself to create Watertown, with his own money and more from people he knew. 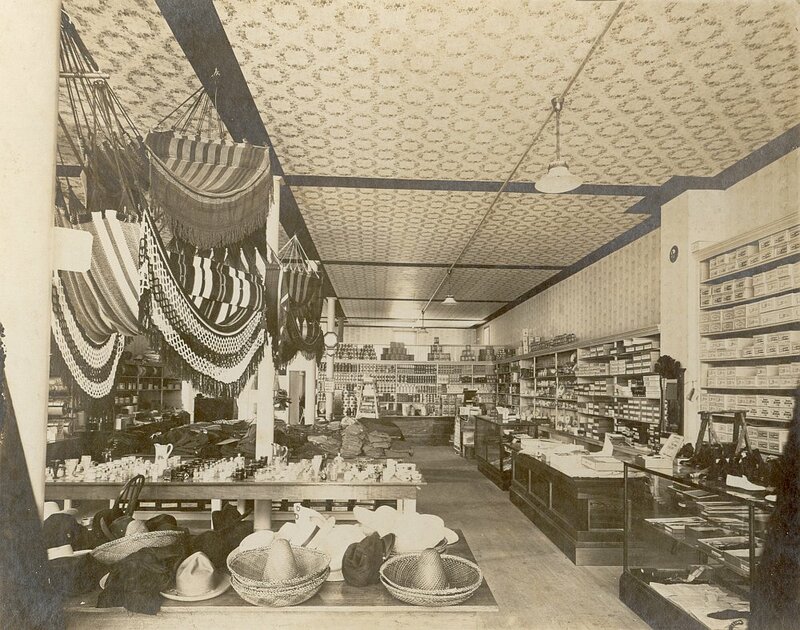 Alexander Moore had created a sawmill in the fall of 1856 and in November of the same year, Lewis had created a small general goods store. At the same time, immigrants from Europe were settling into the area and Watertown truly began as we know it today. One unique anecdote from Watertown’s history relates to Mr. Abraham Hokinson. A resident of the Swede Lake settlement, he was walking one evening and became lost. After a time, he reached Watertown, a place he had no idea existed. The next day, he found his way home and informed his neighbors of the discovery of a nearby town. The two villages existed side by side for a number of years with no knowledge of the other. Of special note, it is difficult to talk about the creation of Watertown and its progress without touching on the religion that came to the town. Immigrants from Sweden, Germany and Norway brought with them rich and vibrant communities. The first church building that was erected in Watertown was a Catholic Church log structure. It cost $1000 and was built under the direction of Father George. The Catholic Church was later joined in 1873 by the German Lutheran congregation of St. Peter and later joined by St. Paul Church, the Evangelical Free Church community (which has its roots with Swedish missions in the 1870’s), the Trinity Lutheran Church in 1890, and the Community Church of Watertown which lasted from 1924 to 1969. It was not all easy going for the first residents of Watertown. In 1863, an event occurred that came to be known as the Dustin family massacre. The U.S.-Dakota War of 1862 had created a very hostile environment throughout central Minnesota and Watertown was not free from its grip. A small family by the name of Dustin was returning from Waverly when they were attacked by American Indians. Only Mrs. Dustin and her small child survived. This event, while not harming Watertown proper, scared the community and had the townspeople ready for a possible follow-up attack. Many of the men of Watertown were already serving in either the U.S.-Dakota War or the Civil War, so men had to be brought in from neighboring towns. There were no more murders of this magnitude that occurred around or in Watertown, but the event served as a reminder of how close the growing town was to the wars that were affecting the United States at the time. Another important part of Watertown’s identity is the Watertown-Mayer School District. The district has its roots in the beginnings of the town. The first school year ever taught at Watertown was 1857-1858, taught by William P. Buck in a log schoolhouse on the eastern side of the Crow River. Buck did not see Watertown’s first graduates, who graduated in 1909, as he enlisted in the Civil War and died in 1865. In 1911, the main High School building for Watertown was dedicated and first through twelfth grades began going through public school in that building. Since its humble beginnings, Watertown Public Schools have grown from just serving Watertown to serving the town of Mayer as well. In 1986, a particularly prolific sports year for Watertown, the football team achieved the class “B” championship and the boys’ basketball team made it to state for the first time. All of these aspects and more came together to create the Watertown of the present. Speikers, C., & Johnson, C. (2006). 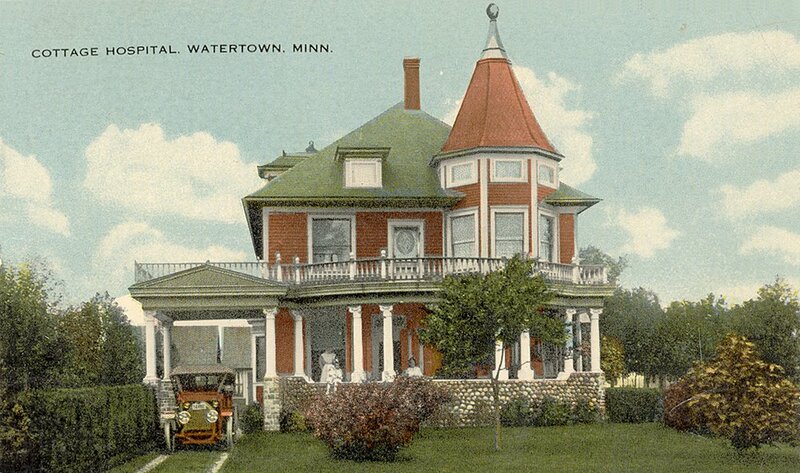 The History of the Watertown, Minnesota Area 1856-2006: 150 Years of Community Life. Watertown Centennial: 1856...1956. Watertown, MN: Watertown Activities, Inc., 1956.